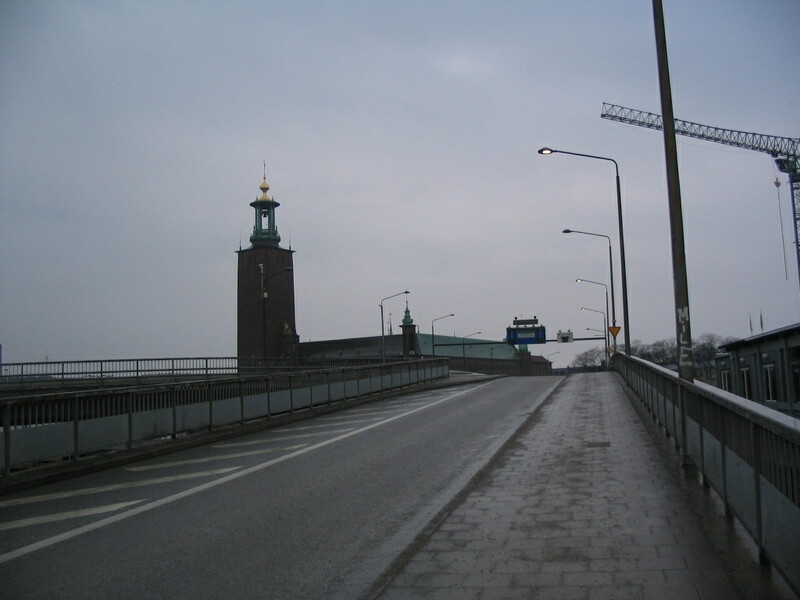 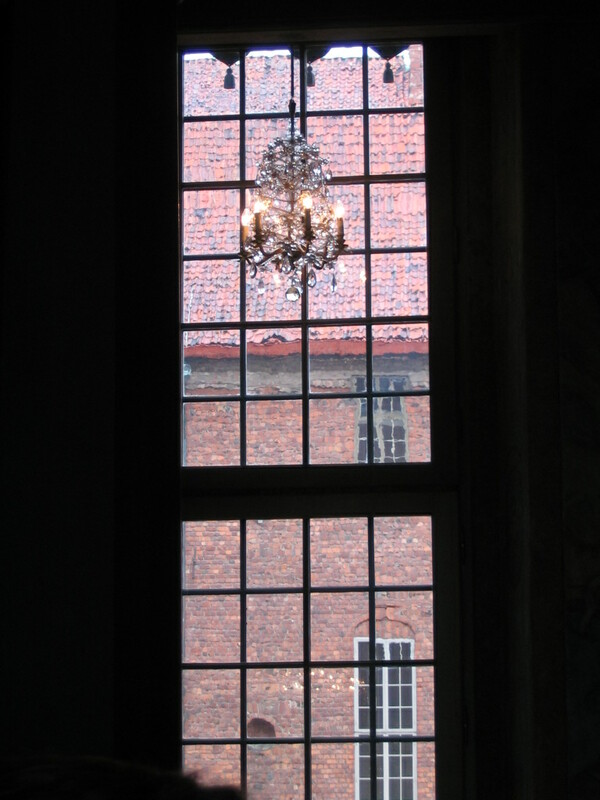 I wanted to see Stadshuset again as well, and luckily we were going there for a tour anyway. 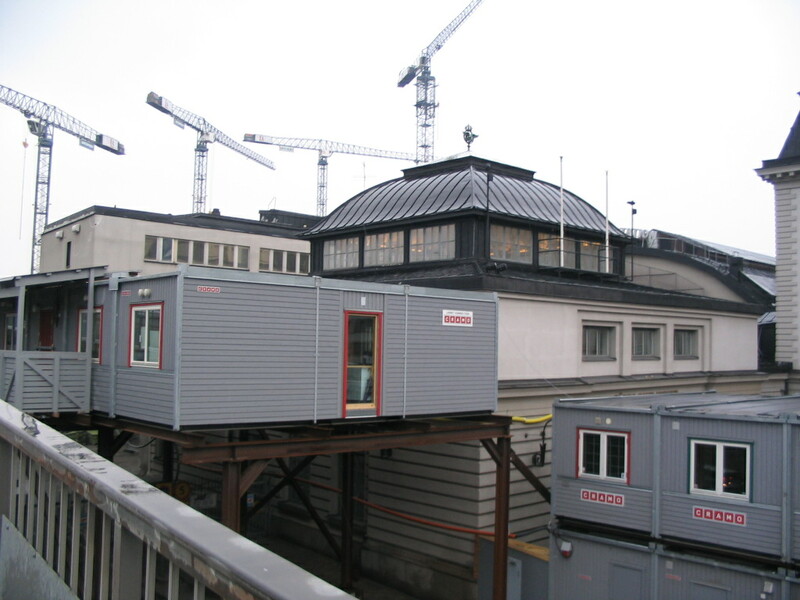 Construction trailers near the central railway station along the way there. 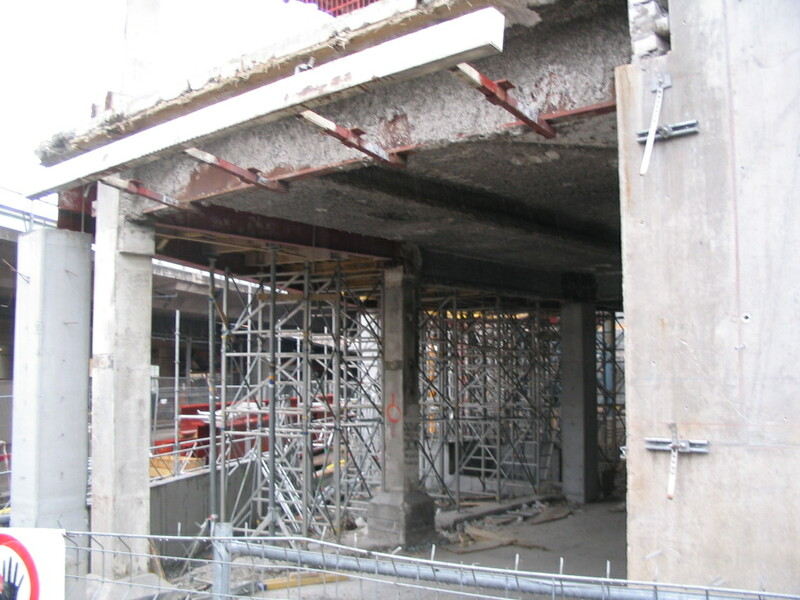 A slightly less picturesque emergence than the previous time. 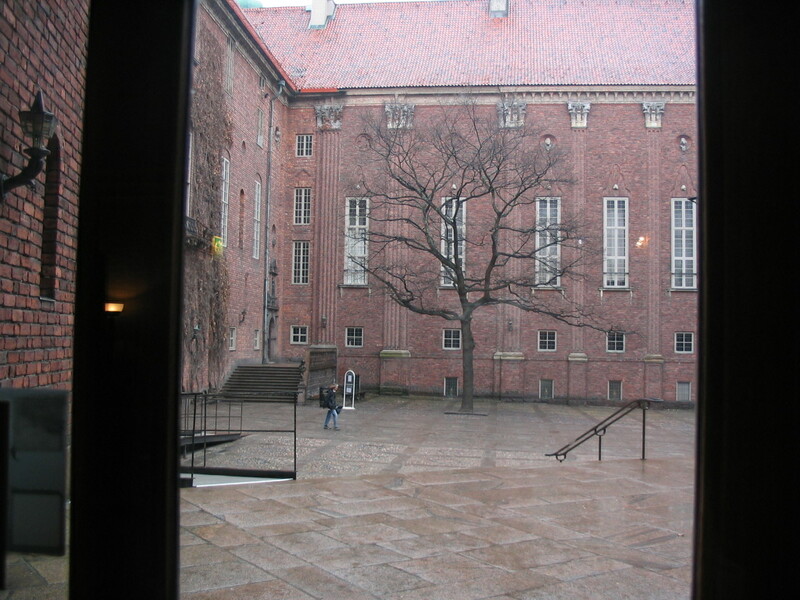 The courtyard (Borgargården) from inside. 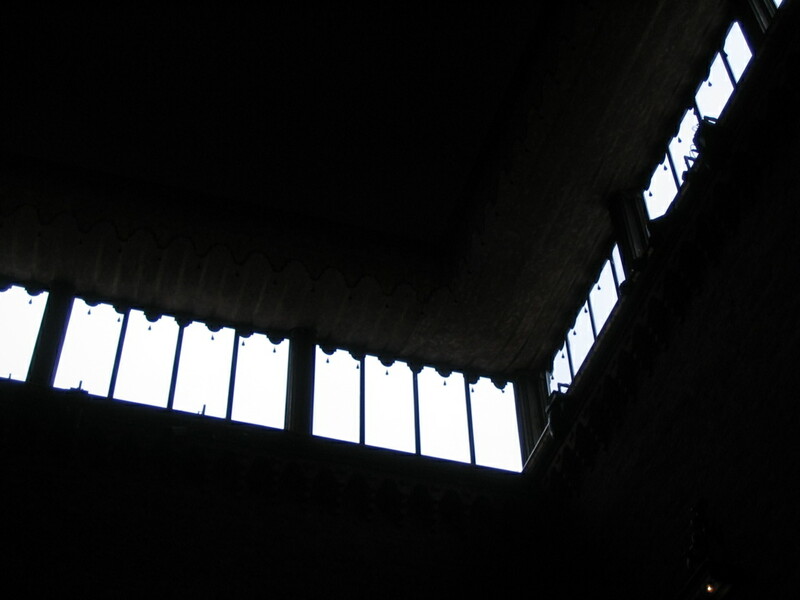 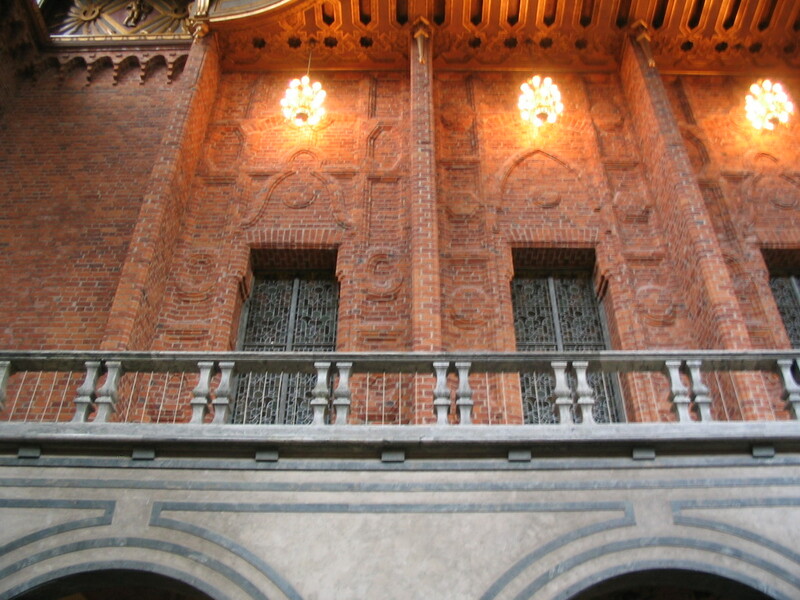 The upper balcony in Blå Hallen (the Blue Hall), where the Nobel Prize banquet happens. 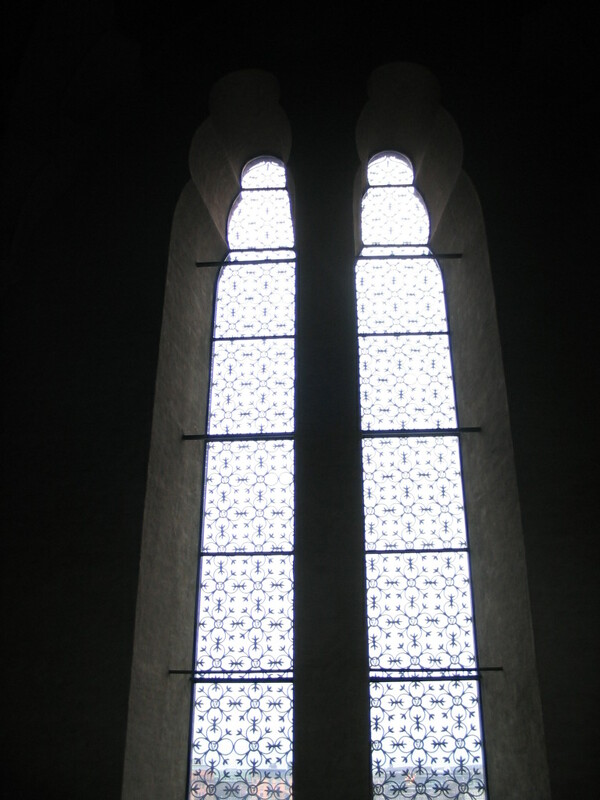 Clerestory windows ring Blå Hallen. 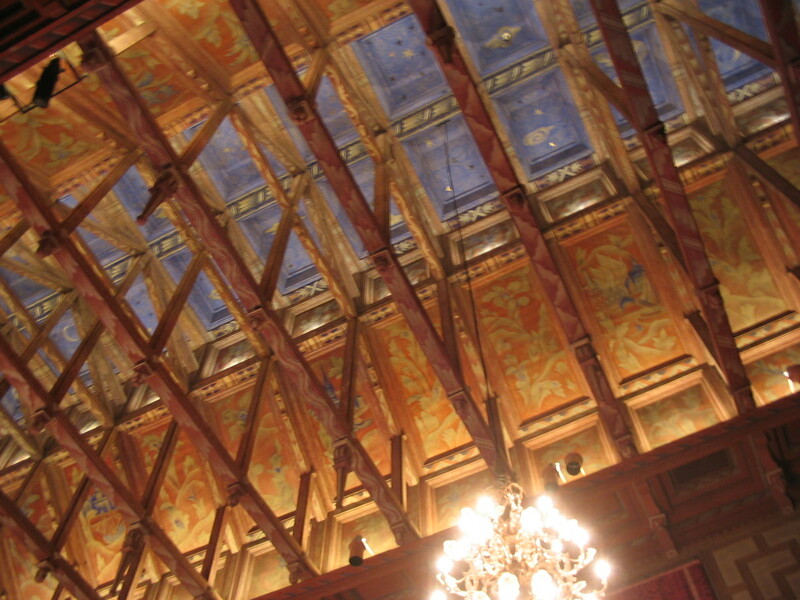 The magnificent ceiling of, I think, the council hall, in the east wing. 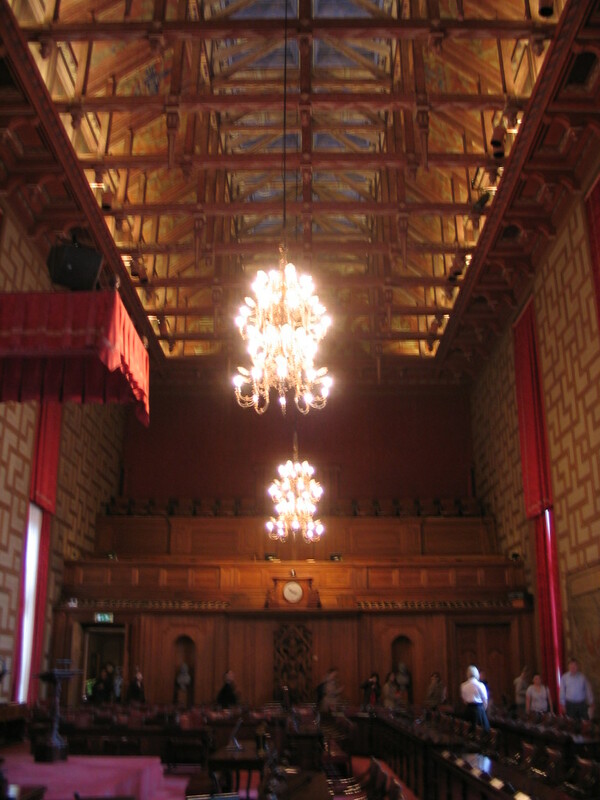 A fuller view of the hall. 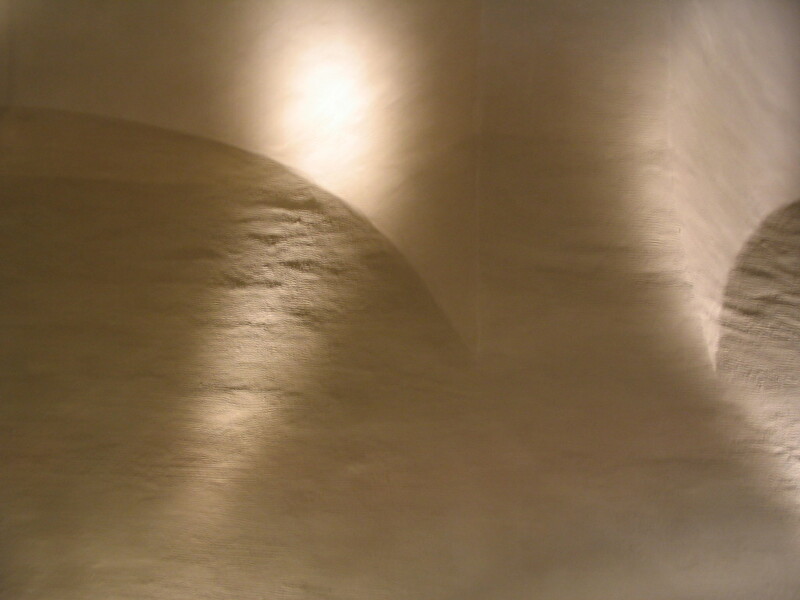 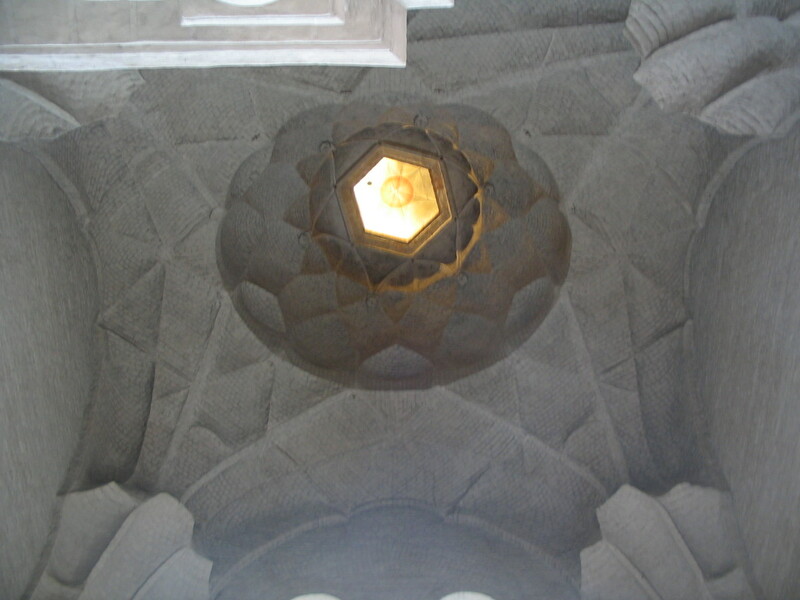 The almost Moorish-looking ceiling in the tower. 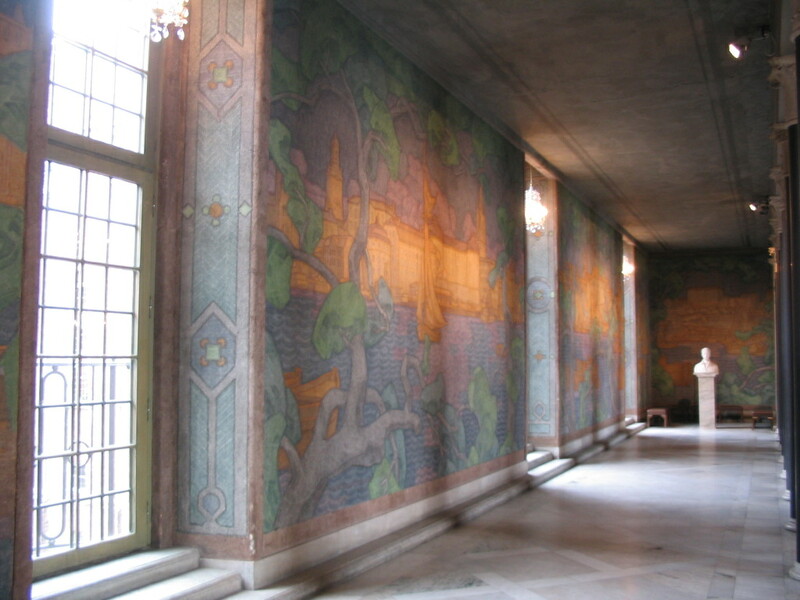 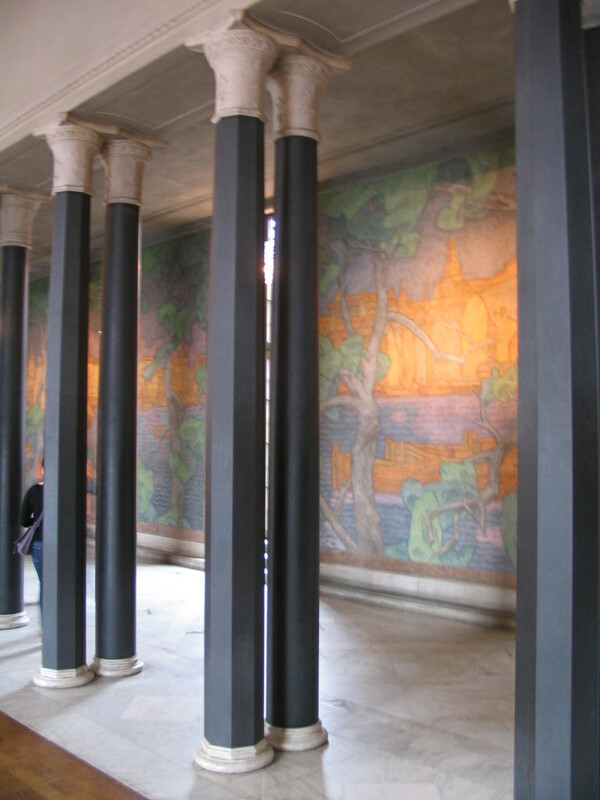 Another hall, on the south side, with a mirror-image mural of the scene right outside the windows. 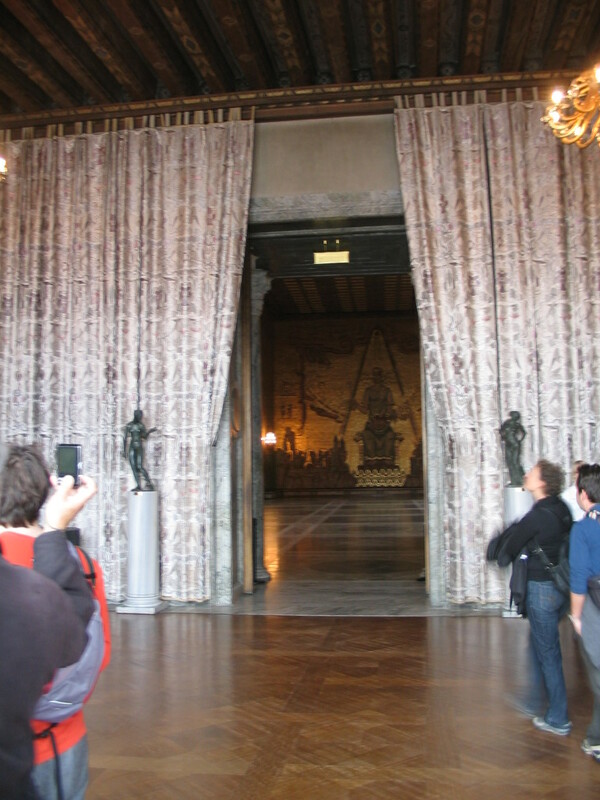 First glimpse into Gyllene Salen (the Golden Hall).